Did you see that up there? Did you hear the thinking behind it? I've been thinking sooo long and hard about this, whilst going about my daily stuff. CREATING THE HOME THAT YOU LOVE. The home that I love. You know when you walk into someone's house, and you feel instantly like a piece of their true person is just *out there* for all to love and enjoy. Those moments make me smile, and I try to take in every little detail of that person's home whilst slurping my coffee...listening with one ear, yet loving and sucking it all in quietly and thinking to myself "this girl really loves her space...". I feel inspired not to go home and replicate what I see...but to go home and love my space even more with what makes me tick. This is not the shallow- *I-need-that-sofa* kinda inspiration, it's the *surround-myself-with-what-makes-our-house-our-home* kinda inspiration. 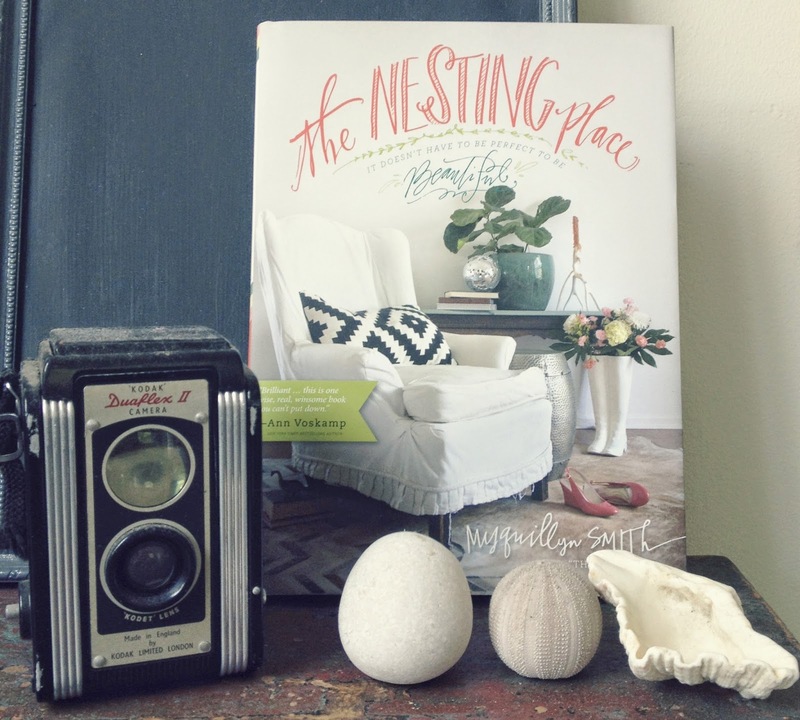 Myguillyn Smith, author of the blog *The Nester* sums up exactly how I feel about *loving our own homes*. This book is right up my decorating alley- right down to the *just married* living with nothing I truly want supermarket boxes covered in cheap calico as side tables and outdoor furniture re-used as an indoor dining suite- they looked fabulous and cost us very little! One of our shared life tales now, that I'm super proud of! Homes are only true homes when they reflect the people who share them. Home is having things full of memories surrounding you: Nan's table, lounge suite bought on holiday in Townsville, my school case ... And add to that some new memories. Everyone's home needs to be full of memories.